You are going to Watch One Piece Episode 426 English dubbed online free episodes with HQ / high quality. Stream Anime One Piece Episode 426 Online English dub A Special Presentation Related to the Movie! A Gold Lion’s Ambition on the Move! In a flashback, it is revealed that 20 years ago, a pirate named “Gold Lion” Shiki cut off his legs and escaped from Impel Down. A few days before the start of the movie, Gold Lion Shiki contacts the Amigo Pirates, a crew of pirates led by a man named Largo, offering to make them the 51st crew under his command if they fulfill a certain request. Meanwhile Luffy, Usopp, Chopper and Brook try to catch a large fish, but it ends up getting eaten by a large beetle named “Boss”. Luffy starts fighting the beetle with the intention of making it part of his crew, but it flies toward an island with him, Zoro, Sanji and Usopp in tow. Yoko, a girl wearing a Marine coat appears, attacking Luffy over how he treated Boss, and some people emerge from the island and reveal that they have been living while running from all threats, because the Marines do not protect them. Yoko’s father was a Marine who died defending them five years ago, and she first met Boss three years after his death. 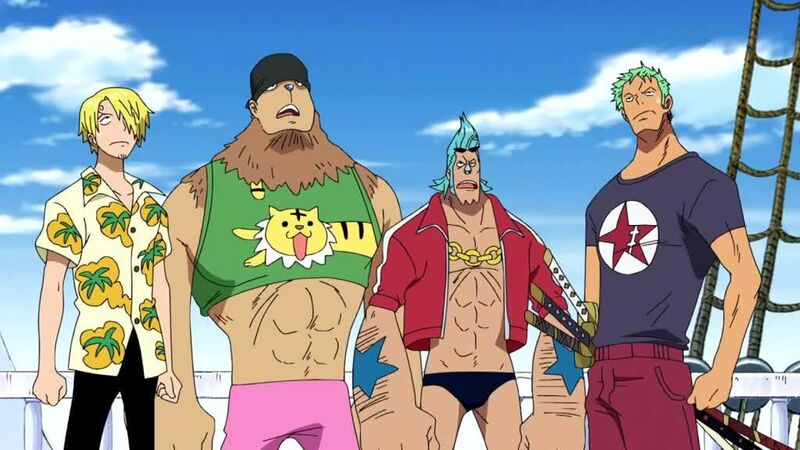 They show the four Straw Hats their village, which strongly resembles East Blue to the point of having replicas of several prominent buildings. The villagers ask Luffy to bring Nami to the village, and as Nami heads to the village on the modified Waver, Largo’s pirates head to the island to fulfill Shiki’s request to get the beetle that left his hideout.